Can You Really Make Money Selling Jewelry? Jewelry continues to be an incredibly popular industry, one where there is always money to be made. After all, there are so many different styles of jewelry out there and people continue to add to their collections over time. If you’re passionate about jewelry anyway, trying to make money selling jewelry may seem like the next step. And, why not? It’s a fascinating industry and there are plenty of different products to choose from. There are also multiple approaches that you can take, which you can check out below. They all have their own advantages and disadvantages. You’re likely to find that some of these are a better fit for your needs than others. At a flea market. Flea markets give you access to a large audience that is ready to spend money. This is a particularly good choice if you have many different inexpensive pieces to sell. You’ll typically need to pay for a stall, so this angle is only worth the effort if you have a decent amount to sell. At a craft fair. If you’re selling products that you’ve made yourself, craft fairs are the perfect place. The audience is already looking for homemade items. Again, you’ll be paying for a stall, so make sure you have enough items to justify the process. It’s also worth researching what other people will be selling and making sure you have something competitive. At a garage sale. Garage sales work best if you have many different items to sell, rather than just jewelry. But, you’re not likely to get very much for your pieces. Most customers aren’t willing to pay large amounts and many will have limited cash on them. Expect a considerable amount of haggling too. Pawn shops. If you just have a few pieces to sell, consider local pawn shops (or similar stores). They may make you an offer on your jewelry, especially if it is unusual or valuable in some way. Jewelry stores. Some jewelry stores will also purchase used jewelry. They often have a better ability to evaluate jewelry, which can mean that you earn more. However, the process can take longer, especially if your jewelry needs to be valued. Consignment stores. These stores do the selling for you and take some of the sales price as a commission. They’re most appealing for pieces that you’re struggling to sell elsewhere. But, it takes longer to earn money with these stores, as you need to wait for a sale. You can also use various tools to promote local sales. For example, some people rely on Facebook marketing to showcase homemade products and spread the word. You might even develop your own website so that people know exactly what you are offering. A website could also become a way to take orders or to communicate with potential customers. Another option is to sell jewelry for gold. With this angle, you’re not interested in the value of the jewelry itself. Instead, you’re looking at how much the gold that it contains is worth. Of course, this only applies to pieces that are made from gold (and not gold-plated jewelry). The amount you earn is influenced by various factors, including the composition of the gold, the current market value and who you’re selling to. This idea is a reliable way to earn if you have the pieces. It’s not unusual for the gold in a piece of jewelry to be worth $100 or more. If you do plan to sell gold, you’ll need to look for someone to sell to. Local stores are often a good choice, including jewelry stores, gold stores and even coin stores. There are also online companies that purchase gold. But, you should be very selective when looking into these. Some of the companies are legitimate and pay well. But others are little more than scams and may pay you very little. The online environment is always powerful for sales and that includes selling jewelry. There are various options at your fingertips, depending on the pieces that you’re trying to move. One angle is to rely on sites like eBay and Amazon. eBay is the most common choice and there are probably more than a million pieces of jewelry being sold at any given time. However, the site does allow users to search and filter using various criteria, such as the type of metal and the stone (if any). eBay works particularly well for small-scale operations. For example, if you have a handful of pieces that you want to sell, eBay is probably your best bet. You might also look at Amazon FBA for a larger scale business. Amazon FBA lets you take advantage of Amazon’s various mechanisms, which can make you much more efficient. If you make jewelry yourself or plan to buy and resell jewelry, you could also consider building your own eCommerce site. There are various platforms that you can use, including Shopify, which even has templates for selling jewelry. This is a slower process, as it will take you time to develop the site and drive traffic to it. However, you can end up with a sustainable way to earn. The main limitation is reputation. You’re competing against many large and well-established companies and customers may be hesitant to buy products from a relatively obscure site. Competition is also a factor. Not only are you competing against similar sites, but you’re also competing against places like eBay and Amazon, along with large jewelry companies. Many of your competitors will be well-established and will have a much larger marketing budget than you do. The final online option for selling jewelry is through Etsy, which is an incredibly popular approach. Etsy is the single-largest place to buy or sell crafts online. It manages most of the complex elements for you, allowing you to just focus on your products. The idea works well but not everyone finds success. One problem is the competition. There is a large number of creators on Etsy. In fact, the Jewelry & Accessories category currently hosts more than 11 million individual products. You can increase your chance of getting noticed by developing a good reputation through the service and perhaps even purchasing for some ads. But, even then, you’re fighting an uphill battle. You do also pay fees with Etsy, which lowers your profit margin. Additionally, Etsy maintains control over your store. They even have the ability to shut it down entirely, should they want to. There are other complaints about the site too, including customer service issues. If you are interested in Etsy, I recommend focusing on a narrow niche, one that has less competition. For example, you might consider a movie franchise or on an unusual area like steampunk. Targeting a narrow area like this increases the odds that you’ll stand out, although the potential audience will be smaller as a consequence. There are similar services out there too, with less competition. One example is ArtFire, which is particularly good for jewelry. However, Etsy tends to get more traffic than any competitors. As a result, it’s easier to stand out on the smaller sites, but you’re marketing to a much more limited audience. The first three options all focus on jewelry that you already own or have made. They can all be effective ways to earn. Still, they do have limitations. For example, creating jewelry takes time and you need to pay for the raw materials. Selling jewelry that you already own tends to have fewer costs, but you’re going to run out of things to sell fairly fast. You may also need to deal with areas like shipping, storage and returns. An alternative is promoting jewelry from other people, particularly through affiliate marketing. With this approach, you don’t need to physically have any jewelry at all. Instead, you’re promoting products from other companies, through jewelry affiliate programs. By doing this, you get to focus on companies that already have a good reputation and will pay you well. Some of the programs even have 10% commission rates, which is impressive. This approach relies on affiliate links from a company. One way earn from affiliate marketing is by building a website, where you focus on a given topic. So, perhaps you might review jewelry pieces or provide articles about ways to dress and accessories for given occasions. Whatever your angle, you can include affiliate links. If these lead to sales, you earn a commission. Because you’re making sales indirectly, affiliate marketing is very easy to scale. After all, your audience is entirely online. You could potentially make hundreds of sales, if not more. Trying to that with physical jewelry would be extremely difficult and labor-intensive. This is one of the most powerful things about affiliate marketing. With enough time and planning, you can even develop a significant income stream from affiliate marketing. You also don’t have the same overheads that you would get if you were trying to sell pieces of jewelry that you own. One final angle to consider is network marketing. The idea is similar to affiliate marketing, in that you’re earning a commission from sales. But, there are dramatic differences too. Most network marketing companies focus on in-person sales, often through parties held at people’s houses. The parties give people the chance to try on samples (normally ones that you have purchased) and act as a way to promote sales. They can be effective but they’re also draining and people get sick of them fast. Some companies also have an online component, allowing you to make sales through a replicated website. But, sales are only one aspect of network marketing. Members are also meant to recruit others and get them to make sales. Compensation plans tend to strongly focus on the recruitment side of things. As a result, you need to be actively involved in recruitment and building a team if you want to make a decent level of income. There are plenty of jewelry network marketing companies to choose from, boasting many different styles of jewelry. If you’re going to take this approach, make sure you research carefully. Many companies will have high ongoing requirements, while others have low-quality products. The team-building process is also much more difficult than it first sounds. In fact, many people in network marketing don’t earn much at all. Is Jewelry a Viable Way to Make Money? Selling jewelry that you own is best for short-term income only. You’ll typically run out of jewelry fast. 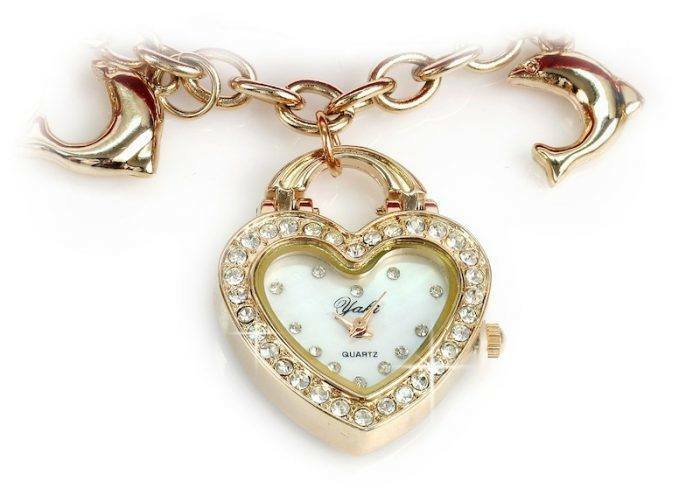 You could buy and resell jewelry but there is considerable time and legwork involved. Selling jewelry that you create can be viable if you research carefully. Sites like Etsy and even eBay are effective tools, along with local options like craft markets. But, beware of competition. There are many different jewelry options out there and it can be hard to develop a profitable business. Selling jewelry from other companies comes with the lowest risk and is easiest to scale up. There are many companies to choose from, which makes it easier to pick an angle that is likely to be effective. Regardless of the approach you take, planning is critical. You need to seriously consider your costs and ongoing requirements, along with the potential for profit. Planning helps make sure that your efforts are successful and that you’re focusing on the right areas.